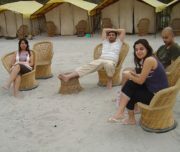 Far from the noisy polluted environment, it is situated 12 kms from Rishikesh on a quiet river bank. 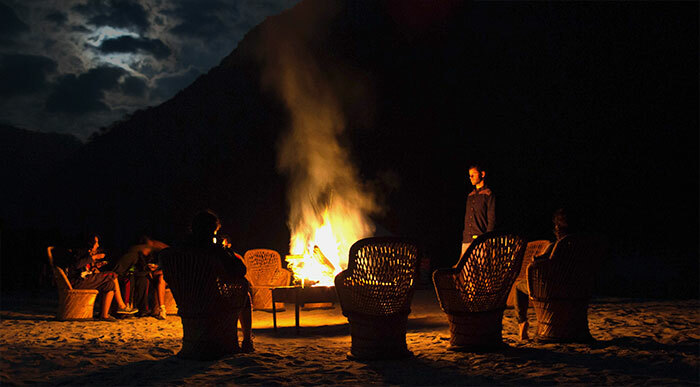 The Camp has 30 river facing deluxe Swiss tents complete with beds, carpets and chairs, all in the midst of the Himalayan foothills, forest and facing the Ganges. Complete with beach volleyball, river side sit outs, bonfire. 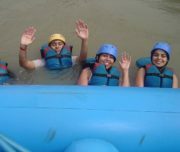 The camp is used for a wide range of activities like beach games, expeditions, trek into Garhwal, quiet retreats, HRD Training programs, conferencing. 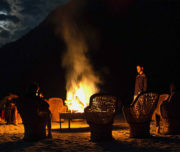 Evenings come alive with riverside bonfire and soothing music. 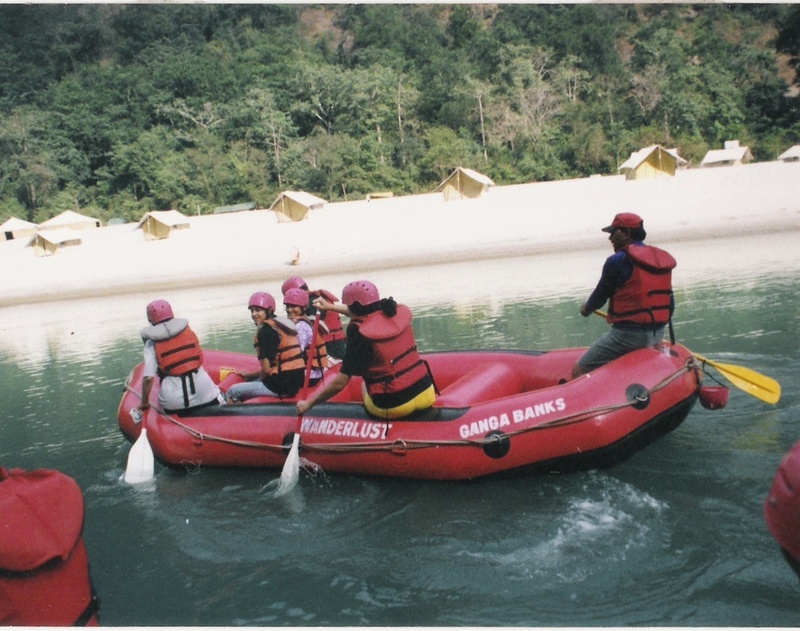 Let Ganga Banks capture the romantic and release the adventure in you. Post lunch free to enjoy Volleyball / Badminton. 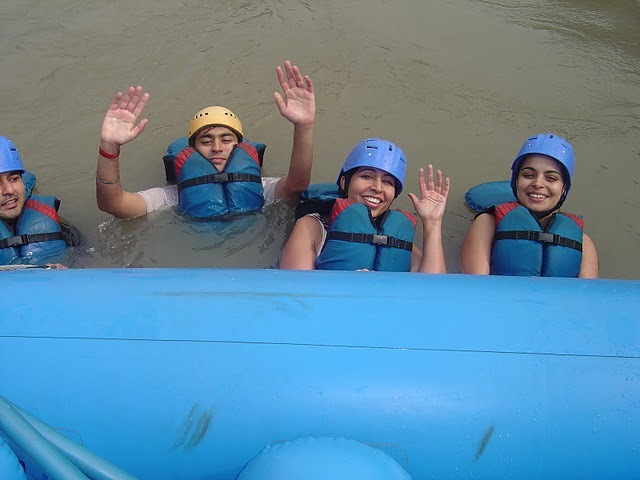 After breakfast proceed for the rafting trip from Shivpuri to NIM Beach, near laxman Jhula to include rapids like Black money, Shivpuri, Golf Course, and Roller Coaster etc for 3-4 hrs including Cliff jumping. Accomodation in Swiss tent/hotel room. 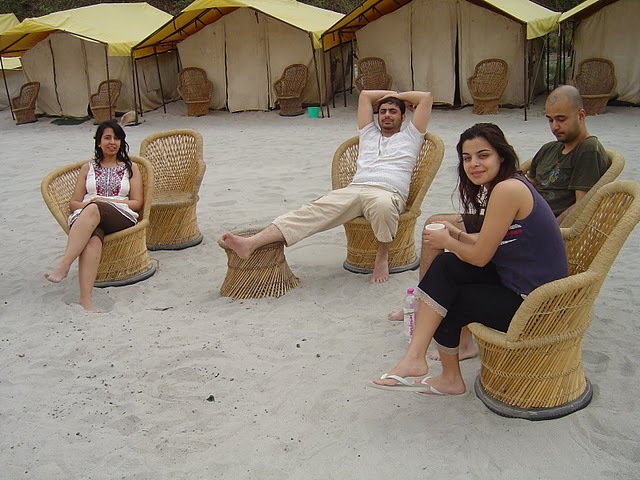 Check into river side tents. Post lunch proceed for the first rafting trip from Marine drive to the camp. After a session of briefing by the Trip leader start an interesting encounter on rapids like Good Morning, LMT, Three blind mice, for over 2-3 hrs. Early morning optional trek on leopards trail.